Convert your MerCruiser to EFI to improve performance and top speed. 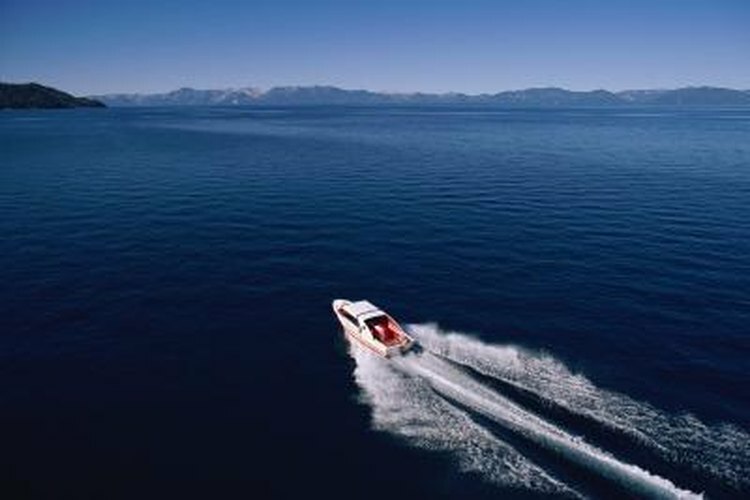 Many contemporary MerCruiser engines employ electronic fuel injection, or EFI, that takes the place of carburetors used on older engines. The components consist of a throttle body, intake manifold, ECU module and sensors. Electronic fuel injection delivers a fuel and air mixture to the engine with more efficiency than carburetor fuel systems. You can improve the performance of older MerCruiser engines by converting to EFI. The conversion requires mechanical expertise, experience interpreting wiring diagrams and the EFI components you obtain at marine service centers based on the size of the engine. Remove the engine cover. Disconnect the cables from the battery and the ground on the engine block. Turn off the fuel supply valve at the fuel tank. Remove the air cleaner/spark arrestor from the top of the carburetor. Disconnect the throttle linkage and the fuel line from the carburetor. Remove the carburetor from the intake manifold. Remove and save the intake manifold bolts. Lift the manifold off the top of the engine. Install the new manifold gasket from the kit onto the intake ports at the cylinder head. Attach the new manifold to the cylinder head with the saved bolts that you torque according to procedures in the service manual. Detach the pair of electrical wires at the fuel pump. Disconnect the fuel lines from the pump. Remove the fuel pump. Install a high-output fuel pump. Attach the original fuel supply line from the fuel tank. Attach the new fuel line that connects between the pump and the new EFI throttle body. Reconnect the original wires to the new pump. Mount the EFI throttle body with fuel injector on the intake manifold. Connect the new fuel line from the fuel pump to the fitting on the injector. Mount the ECU module at one side of the engine compartment in proximity to the intake manifold on the engine. Install the fuel sensor from the kit into the threaded port on the manifold near the throttle body. Refer to the wiring diagram from the kit and attach the appropriate sensor wire to the push-in connector at the fuel injector. Route the remaining wire to the ECU module and attach it to the appropriate tab on the module. Install the new throttle position sensor at the recommended location on the intake manifold with the provided bolts. Connect the provided jumper wire to the sensor and the appropriate tab on the ECU module. Locate the engine’s electrical block at one side of the engine compartment. Remove the cover. Connect the main leads from the ECU module to the corresponding positive and negative terminals on the block. Replace the cover. Reconnect the throttle linkage to the throttle body. Attach the original air cleaner/spark arrestor at the throttle body using the provided adapter fitting and bolts. Reconnect the battery lead and the ground. Turn on the fuel supply valve at the fuel tank. Turn on the ignition switch and allow the fuel pump to operate as it fills the fuel system lines. Start the engine. Procedures vary with the year and model of the engine. Review the installation instructions for the kit and discuss the conversion with a qualified marine mechanic beforehand.